Ladies Day at the Races at Churchill Downs: Ready to socialize and make bids at a horse racing auction, while helping important industry workers? Then prepare for Ladies Day at the Races, scheduled for Nov. 13 at Churchill Downs on Millionaires Row 6. The auction and social gathering will help fund the storied Backside Learning Center. Behind the glamour and riches at Churchill Downs, backside workers strive every day to work with horses stabled at the track. Around 1,000 people work backside, while 600 actually live there in tack rooms or dormitories. The Backside Learning Center supports the workers and their families. Jill Byrne, racing analyst and director of programming at Churchill Downs, described the facility’s main functions in a recent email. The auction will feature an American Pharoah halter set in a shadow box, along with Triple Crown photos signed by trainer Bob Baffert and rider Victor Espinoza; a Zenyatta halter and visit to Lane’s End Farm; a personal chef for a private eight-person home party; Cool Sculpting or TrueSculpt treatments at CaloSpa; a three-person golf outing at Valhalla (site of Tiger Woods’ historic 2000 PGA Championship win); a job as a ball boy or girl at one of the upcoming University of Louisville men’s basketball non-conference home games (along with two tickets); a Beholder halter; and an American Pharoah saddle towel signed by Baffert, Espinoza and owner Ahmed Zayat. View pictures and descriptions of the items, or even bid before the event, at this link. Interested auction bidders do not need to attend in person. According to Sherry Stanley, director of the Backside Learning Center, the revenue from Ladies Day at the Races will specifically go towards their education services. Lauren DeGeorge, the program director, stressed the importance of funding the Family Education Program. “This program has shown great potential, but without any separate funding it is difficult to provide sufficient support,” DeGeorge pointed out. Despite the challenges, the staff loves working at Backside Learning Center. AmeriCorps VISTA Olivia Leftwich, who works with the organization to help create long term programs that will alleviate poverty, gave her thoughts. “It’s incredibly inspiring to be around these people who are sacrificing everything they know, and working so hard for the betterment of their families and for others,” Leftwich remarked. Any assistance Ladies Day at the Races and the Backside Learning Center receives will help those efforts. Ladies Day at the Races is filled with other activities besides the auction! Since the event takes place at Churchill Downs, there is live horse racing which begins at 12:40 p.m. 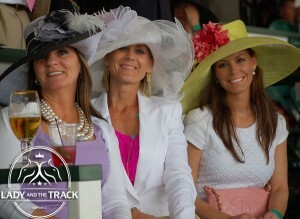 Meanwhile, Ladies Day starts slightly earlier at 11:30 a.m. and continues until the final race. Besides watching horses, attendees can also participate in the draw for fine wine, watch the fashion show and enjoy the lunch buffet. Tickets are available right now at $75 each. One table for eight people costs $500. Despite the “Ladies Day” title, men are welcome too! Dress in casual business attire. Attending the races at Churchill Downs results in a great time. Now attendees can attend a historic racetrack and help support the backside community. To learn more about the Backside Learning Center or to buy tickets for Ladies Day at the Races, visit www.backsidelearningcenter.org. 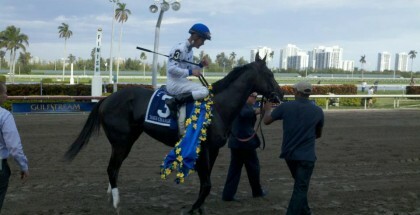 In addition, follow them at www.facebook.com/LadiesDayAtTheRaces.